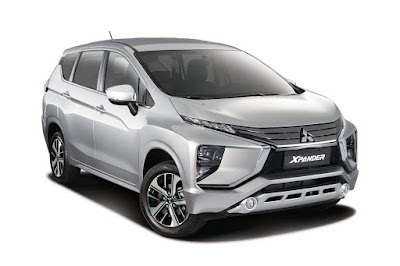 Responding to its strong demand across the ASEAN region, Mitsubishi Motors has announced that it will be increasing the production of its Xpander MPV at its Bekasi, Indonesia manufacturing plant. Planned to produce 100,000 units in 2018, the Japanese automaker is now boosting that number to 120,000 or a jump of 20 percent to ensure shorter waiting time for customers. There’s a strong possibility that the Xpander will see an increase to 150,000 units annually by 2019, although that is currently still being studied. Currently, the Xpander has already booked 80,000 orders in Indonesia alone and has ranked Number 1 in Indonesia’s sales volume ranking in March. In the Philippines, the Xpander has already sold 1,537 units from January to June, soundly beating the Toyota Rush (1,301). While the BR-V still enjoys higher sales year-to-date (2,191), it must be remembered that the Xpander started selling only in April. of useable back space when the 3rd row sit is folded.